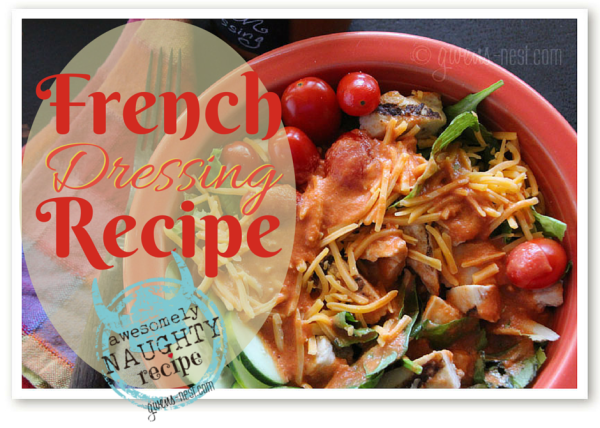 An epic French Dressing Recipe is just minutes away with ingredients you probably already have in your pantry. I love the special boost that a homemade dressing adds to a basic salad. And French has been a favorite of mine since I was a little girl. I love the zingy, twangy sweet notes that it brings…and I especially love it paired with the flavors of cheddar cheese, fresh tomatoes, and bacon. YUM! Now, this is my naughty recipe using real honey, but I’ll be sharing a lighter sugar free version soon. So stay tuned! But the thing is, one of the main reasons (besides just tasting better) that I love to make dressing at home is because I know EXACTLY what’s in it. So even though it’s naughty due to the fact that it’s not sugar free, I feel really good about how healthy this is and love to serve it to my family and guests. We should make some. Like, right now. Because you probably already have the ingredients in your pantry and it’s SUPER quick to blend it together! 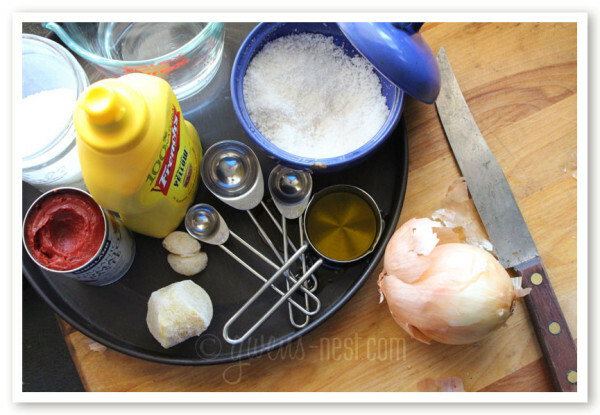 You’ll need: oil, yellow mustard, honey, a lemon, a fresh onion, garlic, salt, and a small can of tomato paste. 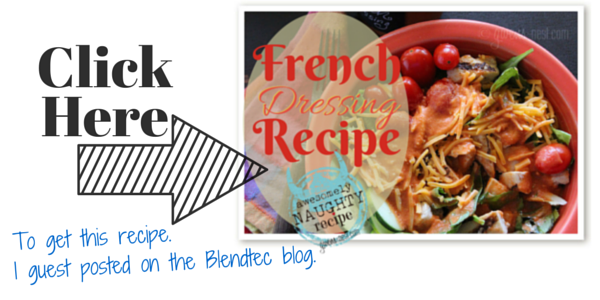 While you’re getting out the ingredients, you’ll need to head on over to the Blendtec blog to get the recipe for my favorite French Dressing Recipe…I got the chance to guest post for them! 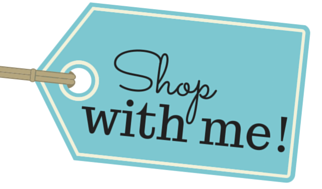 But don’t’ forget to come back and tell me what you think! My hubby LOVES French dressings. I make my own ranch dressing so I can have it sugar free. I’m gonna try this one & see if he likes it! Thanks so much for posting this. Just saw it. Thank you!!! !